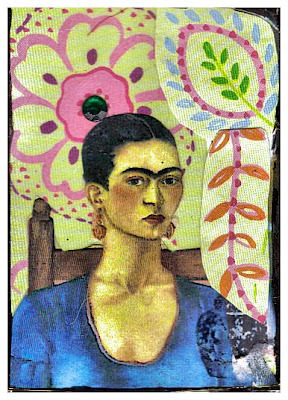 We all know that Big Things come in Small Packages...jewelry, perfume...ATCs!!! 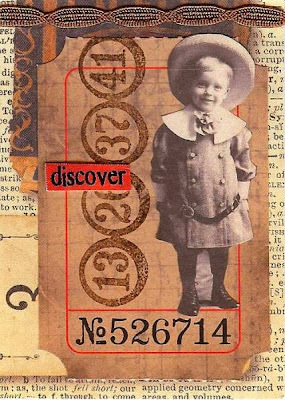 Altered Trading Cards (ATC) were first created in 1997 by Zurich artist M.Vänçi Stirnemann, as a mean for artists to share and socialize with other artists. Cards should not be sold, just exchanged....Oooppss! 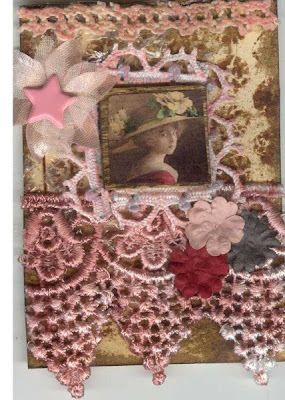 I guess that rule has been forgotten... some ATC's became very collectible and can be found specially in auction sites from $.99 to a couple of hundred dollars! Cards should be 2 ½ X 3 ½ inch in size. What make these little works of art a challenge for some of us. I personally admire how many of you can express yourselves and transmit so much using such a small canvas! Different styles, different techniques, different materials but all full of character! 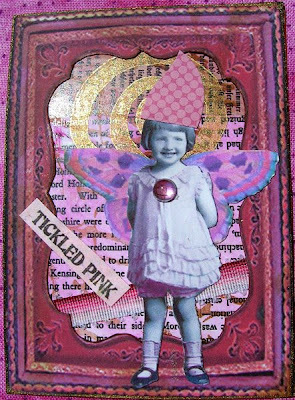 Go on, get yourself some ATC blanks and have some altered fun! I just put your Blog link on my Blog, I hope it helps create more traffic for you! Your blog is like a beautiful slick magazine that is free!! love those little cards. Thanks for sharing the history of them too! Noticed your comment about hydrangea. Put an aspirin in the fresh flower bouquet and the acid will make it last longer. 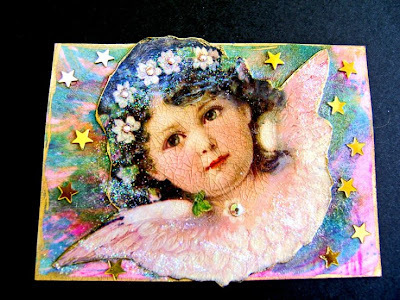 I love ATC's and I love trading although I have sold a few. It is so fun and my favorite hobby! Thanks for being you...you are the best! !